Happiness and Romance and Good Things Post! This ADHM news has me depressed, so I thought I would throw in some nice happy news items. Well, “news” items. First, you ready for a cute picture? Awwww! So cute! I love Aamir and Kiran together, they are such a nice little fun-sized couple. If you haven’t watched their Koffee With Karan episode, you MUST. Of course, the cynical side of me is saying that they provided the PDA picture to avoid any questions about MNS/ADHM. Which is also, supposedly, the reason the Dangal trailer was posted online instead of given a big launch with reporters. But I am telling the cynical side to BE QUIET and just let me enjoy this moment! 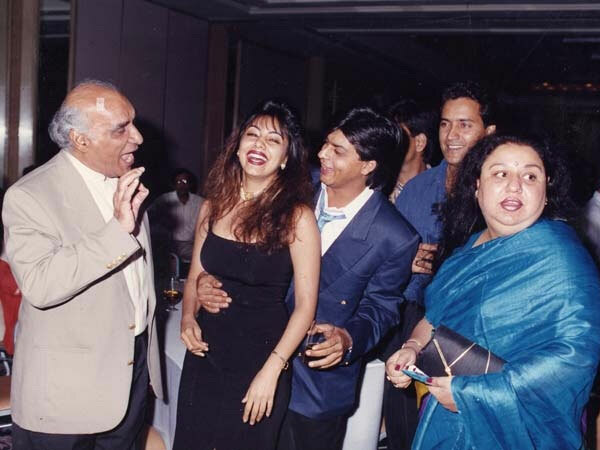 Oh, and FilmiBeat also pulled this adorable photo of Gauri and Shahrukh laughing with Yashji and Pam Uncle, I’m guessing back in the Darr era? I don’t care if everyone says all movie stars cheat, or if there are constant Priyanka rumors, or about any of the other Bad Things that people say. Shahrukh and Gauri are True Love Forever and Ever, and I won’t hear anything different! Well, unless it is this fanvid which wasn’t quite good enough to make the 15 Best FanVids post, but is still pretty darn good, and kind of convinced me that the love triangle is real. And finally, there are break-up rumors about Ranveer and Dips, which I am carefully ignoring because if they ever break-up that would mean that LOVE IS DEAD. Ranveer is also carefully ignoring the rumors, refusing to respond to questions about it during the Befikre press tour. But he did give a nice quote about love in general. Love has to do with one’s soul. I believe we all have a soul in all of us. Love is loosely thrown around, but it’s a big thing. When you love someone, it is absolute purity. I always struggle to articulate what love feels like. But, it’s about a connection of souls. 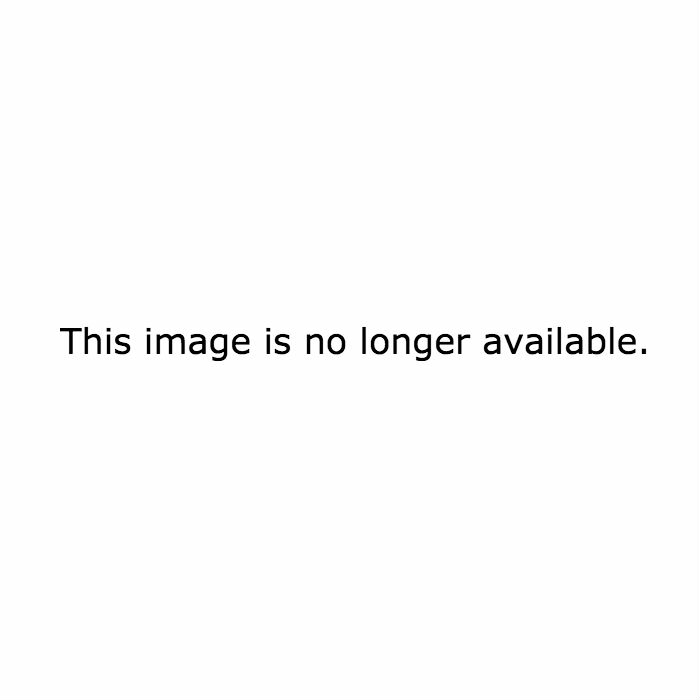 This entry was posted in Shahrukh and tagged Aamir Khan, Break-up, Deepika Padukone, Filmi News You Can Use, Gauri Khan, Happiness, Kiran Rao, Ranveer Singh, Romance, Shahrukh, Shahrukh Khan, SRKajol by mredlich21. Bookmark the permalink. I think that Kajol is the sister (healthy and not a worry like his own) he does not really have. The friends of our youth are special in a way no one else is. If you have the luck to MARRY a friend of your youth, your first love, than it is very very hard to break that. I think the biggest evidence that SRK is loyal is the serenity on Gauri’s face. That’s what he promised: never to disrupt that peace. AND, she is the only person who has known him in all his ages. No sexual excitement trumps that. I love candid photos of Gauri and Shahrukh, because you can see how incredibly comfortable they are together. Like, “I can be completely myself and no one knows me like you” kind of comfortable. But it doesn’t really come through in interviews or official photos, I think because Gauri tends to put on kind of a “game face” when she is facing the cameras (I’d probably do the same thing if I knew my every expression would be scrutinized). But in the candid photos like this, where they are caught just enjoying each other, they look like any other couple who have been together for 30 years! I found this video I think for my Holi post, and I love it! There’s something about how they dance together that is just happy and loose and free in a way you never see him with anyone else.